Deuce has shown a lot of promise and we are pretty excited about him and his sister and what they may bring to Gryffyn's Aeyrie in the future. Deuce completed his UKC championship in three consecutive shows, the first two being somewhat local, but his finishing win was the first show of the 2012 UKC Premier national show event. 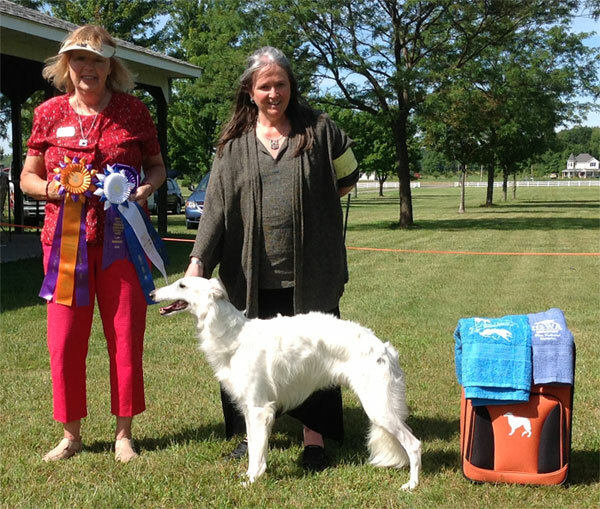 He was then moved up for the Sunday show and won the champion class! 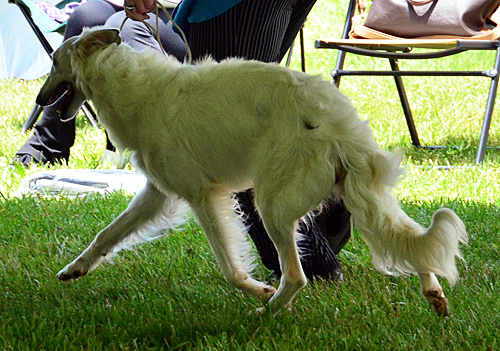 Deuce also won his class (12-18 Month Old Dogs) at the 2012 SilkenFest national specialty show and has attracted many admirers. 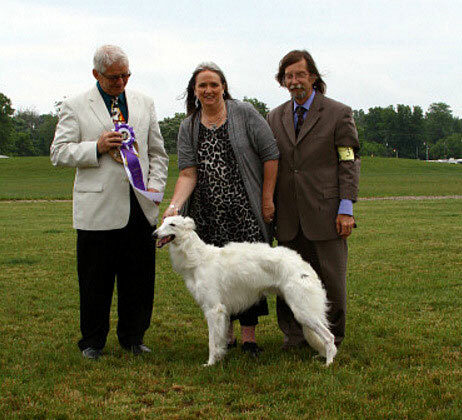 Deuce was Reserve Winners Dog (from the Bred-by Exhibitor class) at the 2013 SilkenFest, the same day winning Best of Breed at the UKC Premier show (ISWS hosted their national silken windhound specialty at the same location as the Premier). 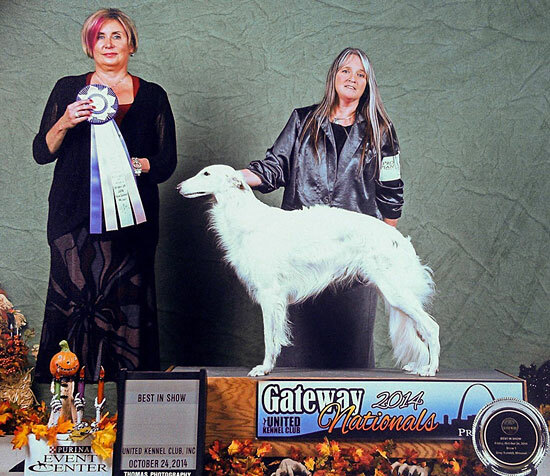 In September 2013 Deuce completed his ISWS Championship title by winning Best in Specialty Show at the East Coast Silken Windhounds Specialty from the classes (over 5 specials). 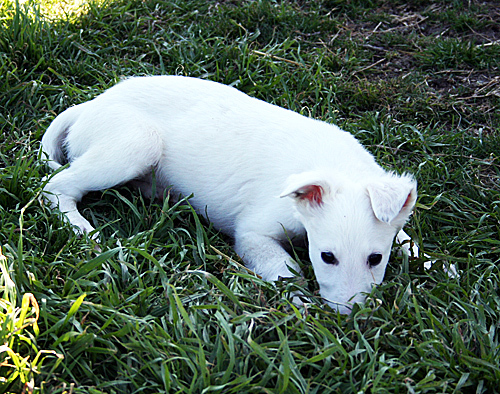 We think he is an awesome young dog! 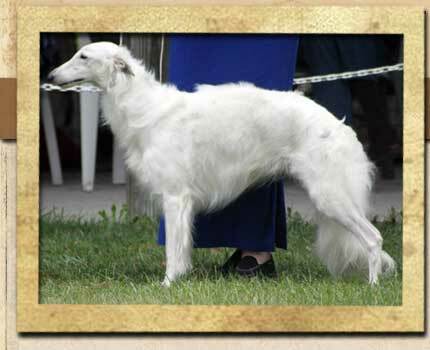 Awarded Best in Show and Reserve Best in Show in addition to 6 Best of Breeds (out of 6), 5 Sighthound Group 1s, and a Group 4 at the 2014 UKC Gateway National Shows.